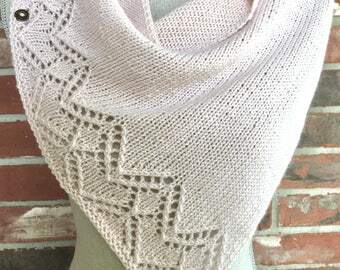 This shop will continue to carry instant download Industrial Whimsy original knitting patterns as well as de-stash or clearance items from time to time. Ways to Pay ~ Debit / Credit card, PayPal, or you can redeem Etsy gift cards. The cutest bag! I use mine for my larger makeup items. Great for traveling! I love my cup cozy! It came swiftly through the mail. I love the fact that it is reversible so I have two choices to use. New Knit, Crochet, and Quilt Necklaces! Help me spread the word by tagging friends, liking this post and sharing it on your page! My kids wearing their Christmas Hats! Find the pattern in the shop or I can knit them for you! My vintage 1960s Polish industrial sewing machine. She works wonderfully! Industrial Whimsy expresses my love of functional beauty and simple design. I only create pieces that I would love to wear myself or give as a gift to a loved one. They are pieces that transcend age or trend. My grandmother and aunts look just as fabulous as my friends and family in these timeless looks. I believe everyone should have lovely handmade items. At an affordable price Industrial Whimsy provides pieces that will last you through countless seasons and fashion trends. You will always look good and your money will always be well spent. The summer of 2005 I was introduced to knitting and since then I have been enchanted by yarn, needles and the ability to take one long string and turn it into something wearable, beautiful and fun! Putting together whimsical jewelry is my way of creating something that has almost instant results. Knitting takes time and the process is slow although rewarding. Jewelry has that instant gratification that we all need sometimes. :) Plus it's fun to find different elements and put them all together to create a unique piece that you won't find at the mall. I do all my work from my home. I have my favorite knitting chair that I found at an antique store and there I sit passing loops from one needle to the next. I am inspired by classic styles and industrial colors. Anything that is simple in its beauty like brick or stone or wood. And then there is something inside of me that is drawn to the little touches of lace or a small bright pop of color that turn a simple piece into a perfect one. Ester has a love for simple design and functional beauty. Self-taught knitter, curator of found objects and constant crafter, Ester sees Industrial Whimsy as an opportunity to expand her creativity and reflect her love of all things crafty. 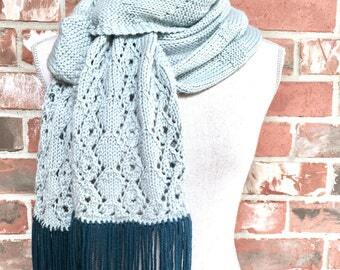 When purchasing a hand knit items, it is possible that ends will come loose. Don't worry, your item is NOT falling apart. Simply tuck the ends back under the stitches or snip them with a pair of scissors. I weave in the ends of each of my items to make sure that they will not come so loose as to create a problem for your piece. If for some reason you are having trouble with a loose end please contact me. Whatever you do, DON'T PULL the thread! You'll either create an unsightly pucker or begin to unravel your item. Globe necklaces are one of a kind and cannot be reproduced. I make several batches per year and each one is unique so that you are able to own something that no one else does. If you'd like to know when I add new Globe necklaces to the shop please let me know and I'd be happy to send you an email when there is a fresh batch available. If you are looking for a specific area of the world to highlight let me know!